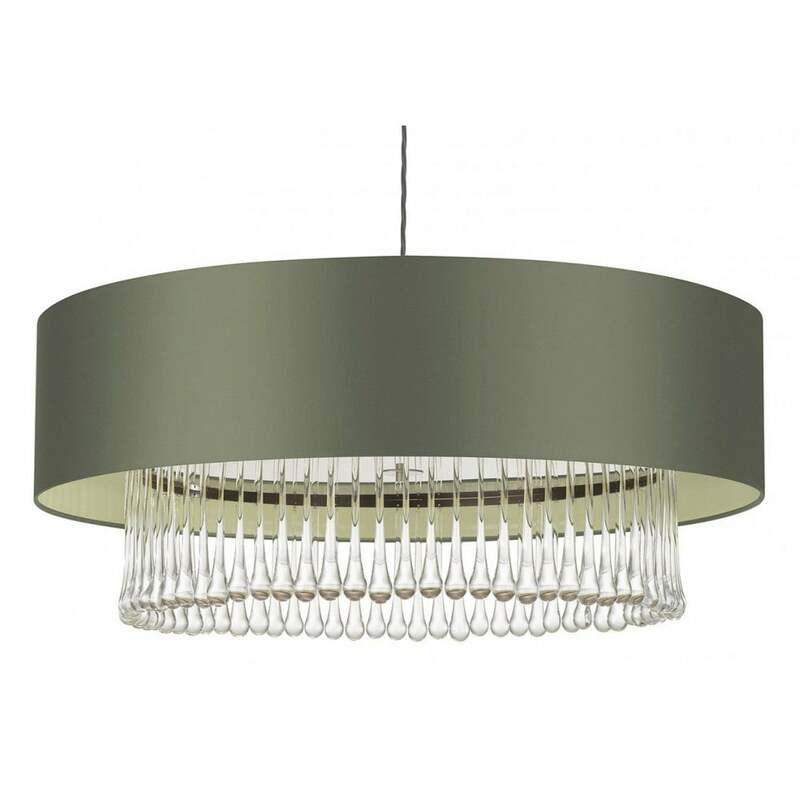 For an element of luxury add the Roehampton 24 Crystal Pendant to your interior. The elegantly handcrafted pendant light includes glamorous crystal detailing designed to reflect light at all angles within your living space. The intricate crystal is set alongside a dramatically styled satin shade, seen here in cactus satin – other colourways are available. With these complementing features the Roehampton pendant can be styled in all living spaces, but would be particularly striking in areas with low ceilings. The pendant lamp is available with a ceiling rose, suspension cables, allowing the pendant light to be adjusted to whatever depth is required within your home. Priced for 32" Thin Drum shade in silk with white PVC lining. Please contact us for other options.